The Nicolaas G. Pierson Foundation has been nominated as one of 24 to win the NRC Charity Award 2015. 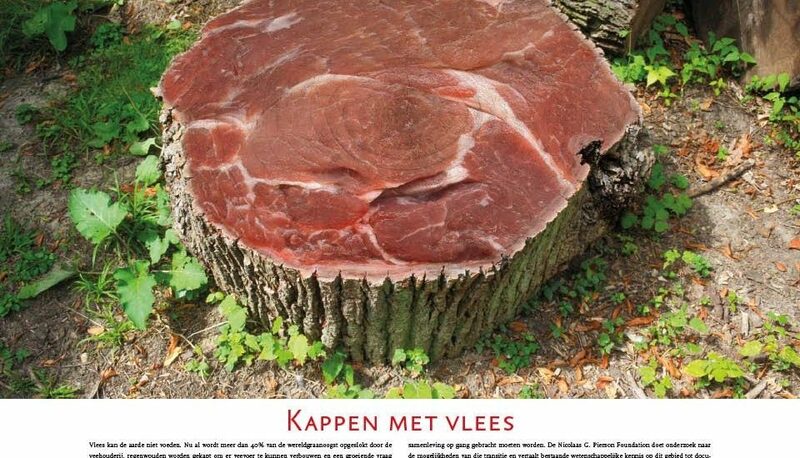 We have a chance of winning €75.000,- worth of advertising space in the Dutch national newspaper NRC. A great chance to spread our important message to a broader audience! Meat can’t feed the entire world population. More than 40% of the world grain harvest is being used by the livestock industry, rain forests are being destroyed to be able to grow crops for animal feed and a growing demand in upcoming economies and a growing world population make it necessary to reconsider our diet. Because the livestock industry is one of the biggest causes of climate change, drought and loss of biodiversity, a global transition to a more plant based society is necessary. Please help us win by voting for our ad! How? You will then receive a confirmation email. Click on the link in the email and your vote has been registered.